We know where you’ve been – well, online anyway – and which restaurants you’ve been curious about and clicking on. 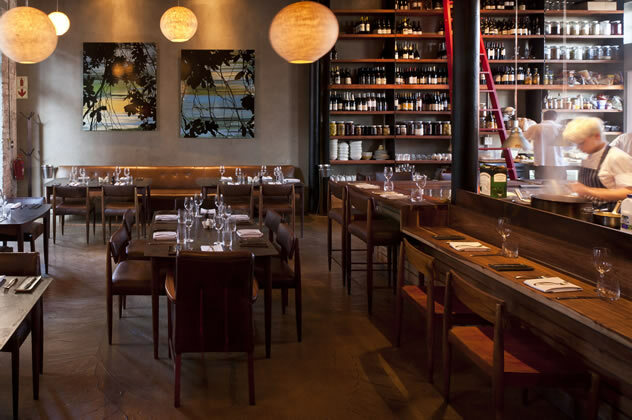 From fine dining restaurants to neighbourhood gems, buzzing new spots to old favourites, here are the most viewed restaurants on our site in June 2015. Have you voted with your feet and visited any of them yourself? Let us know what you thought by writing a review. Our current no. 2 restaurant in the Top 10 is under the helm of chef David Higgs, who makes fantastic use of the hotel’s rooftop garden to bring beautifully plated food to the table. 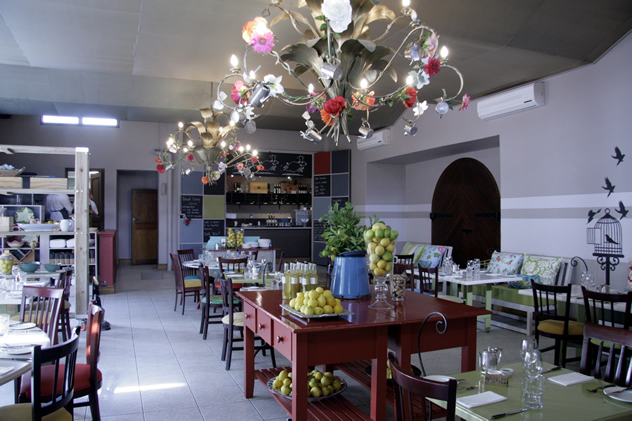 Everything that emerges from passionate chef Marthinus Ferreira’s kitchen (no. 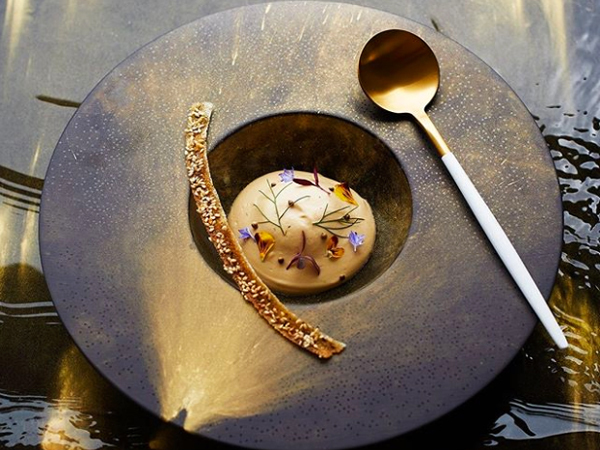 8 in the 2014 Top 10) is delicious and generous, from dry-aged sirloin with an oxtail croquette, smoked bone marrow and white onion velouté to a delightful dessert of dulce de leche ice cream with white chocolate hazelnut praline and chocolate fudge sponge. Perhaps the Grand has cracked this list because you’re looking for pics of the dancers? (Yes, it’s that kind of establishment.) They do also have an epic buffet, featuring fresh bread, Scottish salmon and spit-roasted lamb. 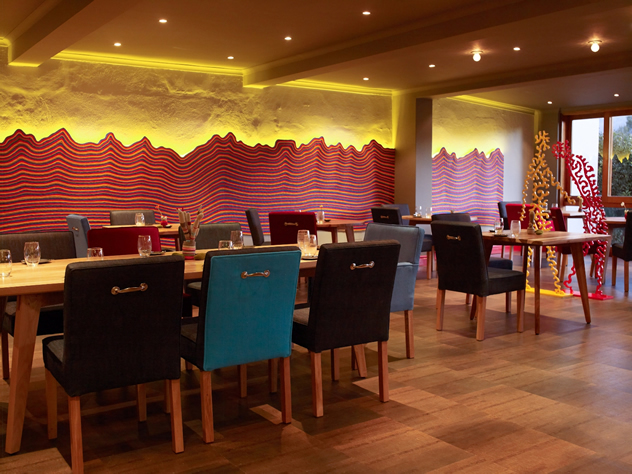 The cuisine is authentic and delicious, with an array of classic Portuguese dishes, fresh, crisp rolls for the table and homemade peri-peri sauce. 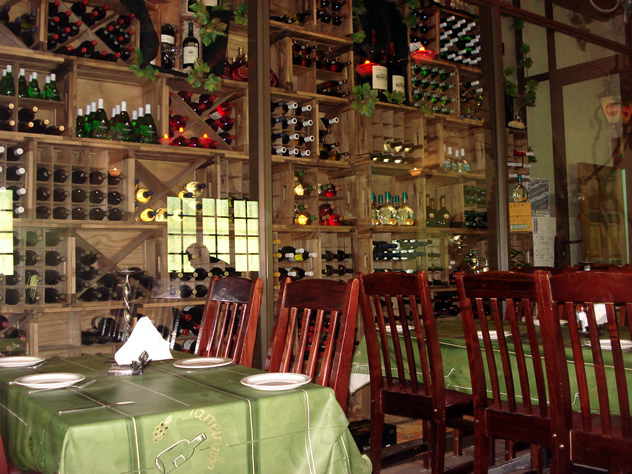 Restaurant Parreirinha. Photo courtesy of the restaurant. Our 2012 winner of the Best Italian Restaurant Award, Café del Sol serves superb handmade filled pastas, risottos, and an unforgettable rolled pork fillet stuffed with parma ham, fontina and smoked mozzarella, and served with creamy garlic mashed potatoes and a sage sauce. Cafe Del Sol. Photo courtesy of the restaurant. 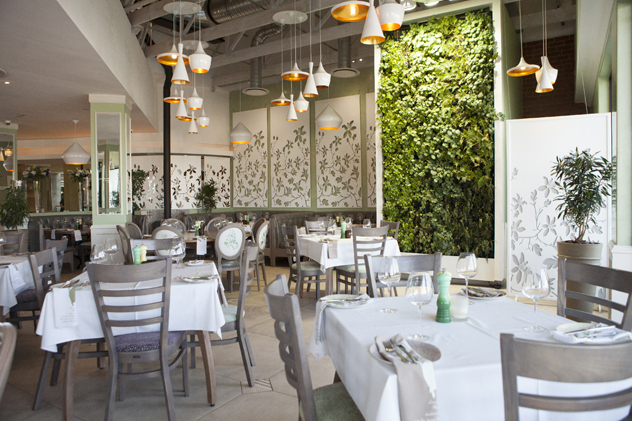 This bright and airy space is worthy of the ‘botanico’ description, featuring dishes like salt-and-pepper squid heads with lime, roasted garlic aioli and black salt; sesame-crusted salmon with avocado mash, Campari and fresh grapefruit salsa; and butternut gnocchi with sage, walnut cream and fresh black truffles. 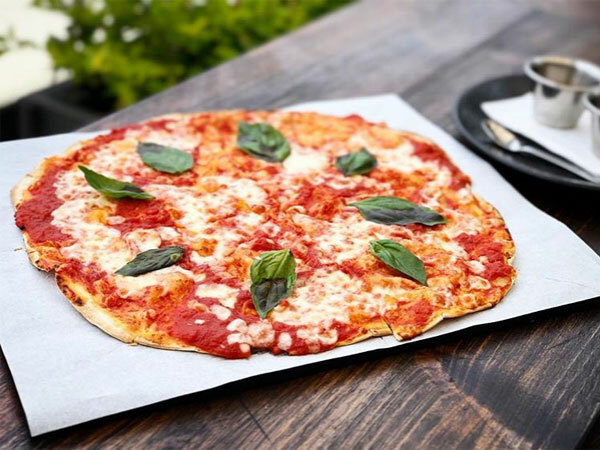 Wood-fired pizzas, tasty snack boards crazy milkshakes and passionate staff – it’s no wonder this place is so popular. Craft. Photo courtesy of the restaurant. You’ll be spoiled for choice with a huge variety of made-from scratch tapas that changes all the time, and a truly special wine experience. Escondido. Photo courtesy of the restaurant. 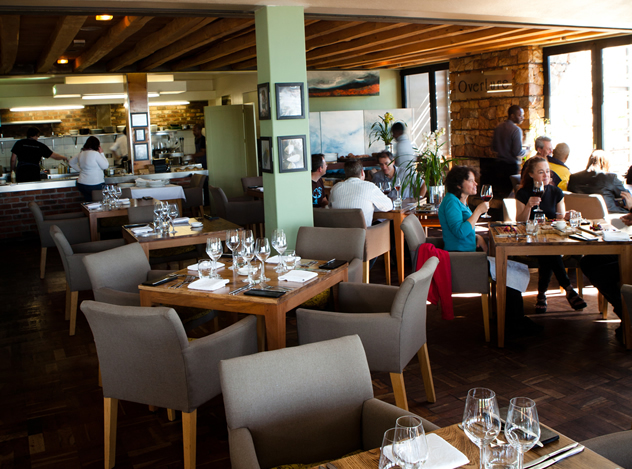 The View is on its way to making a name for itself in the culinary circles of SA. 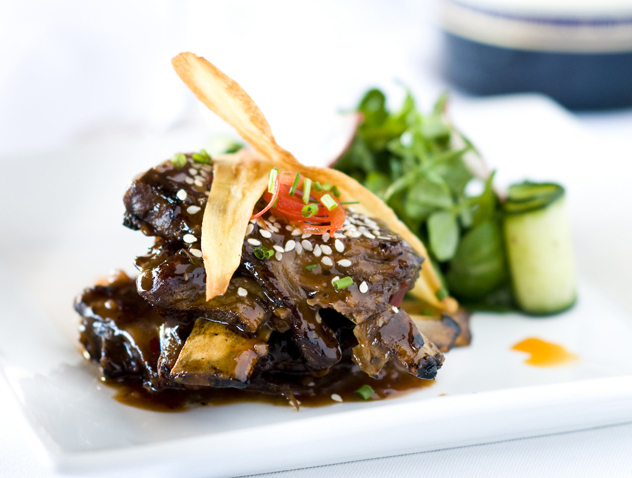 Using seasonal local and international produce, chef Gieselmann puts little masterpieces together on the plate. The View Restaurant. Photo courtesy of the restaurant. These are not your average beef burgers. 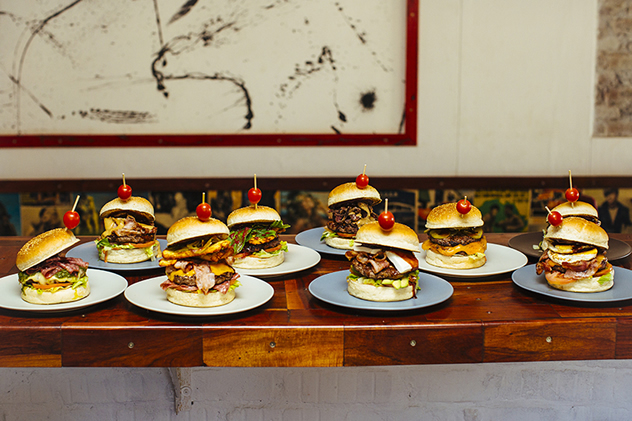 Expect to salivate while reading the descriptions of burgers inspired by cuisine from around the globe, with Moroccan spices, teriyaki, harrissa and chimichurri making appearances. 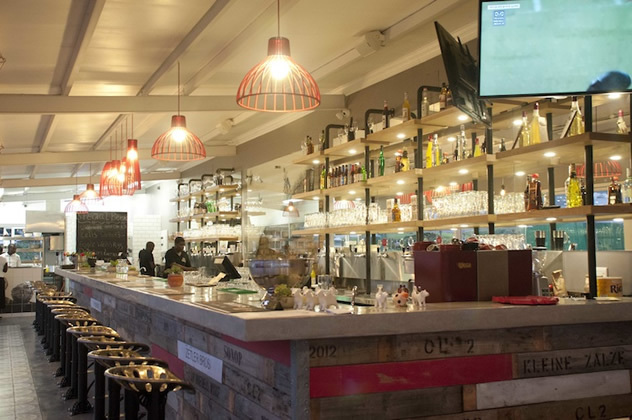 A lovely venue for evening drinks to wash down tapas like croquettes, marinated veg and feta, patatas bravas and delicious meatballs. Life Grande Café. Photo courtesy of the restaurant. Chantel Dartnall, our 2014 San Pellegrino Chef of the Year, reigns supreme at this flamboyant restaurant (our current no. 4 in the Top 10) with a menu inspired by a botanical theme. 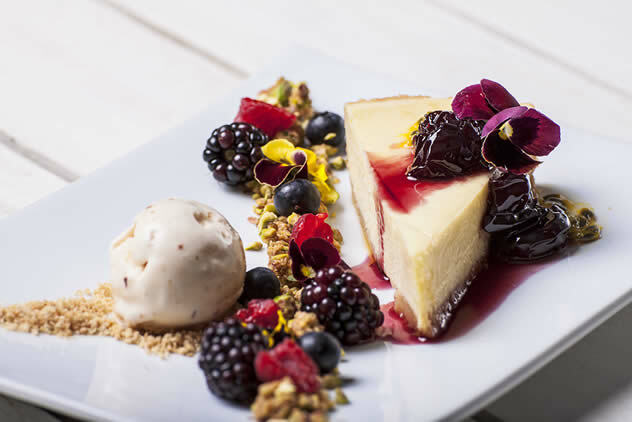 The name belies its chic interior and modern meals, like cauliflower soup with chilli butter and ciabatta, an array of pies and baked goods, and a sublime green bean and fresh asparagus salad with caramelised pear and goat’s cheese. Afro-boer. Photo courtesy of the restaurant. 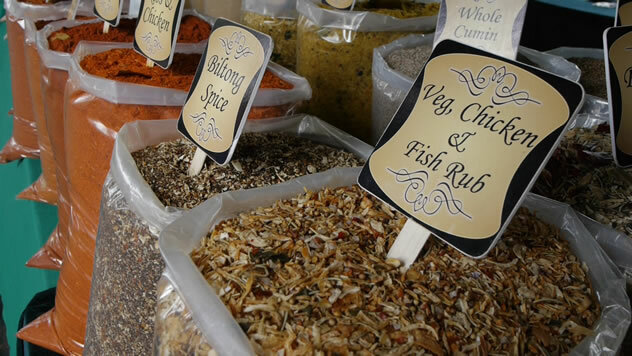 The market is dedicated to LCHF meals and produce, such as banting breads and rusks, nut flours and butters, cauliflower wraps, cheese, cookies, grass-fed meat products, home-cooked meals, sugar-free ice cream and more. 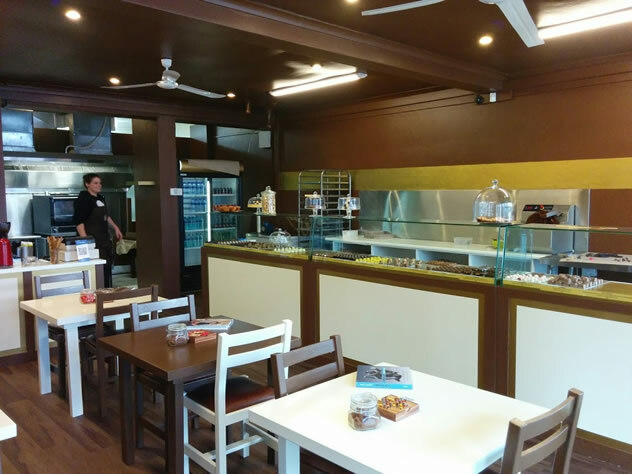 This local bakery and café specialises in artisan breads, gourmet food, snacks, cakes and coffee. 23 on Hazelwood. Photo courtesy of the restaurant. It’s all about the vleis. Meat is king here, with Kalahari beef steak and lamb the stars of this particular show. Hinterland Vleishandelaar. Photo courtesy of the restaurant. Caraffa knows what works for them and they stick to it. 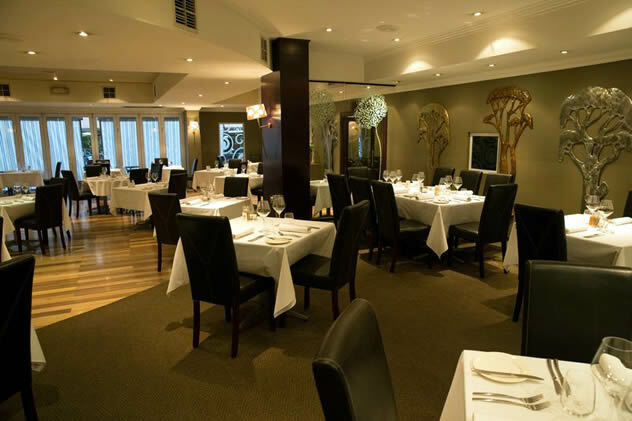 They serve quality and classical Italian dishes and steakhouse fare, with the restaurant centred around the pizza oven. 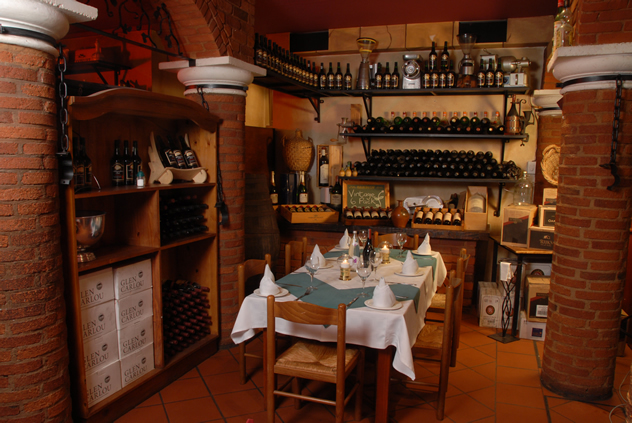 Caraffa Restaurant. Photo courtesy of the restaurant. 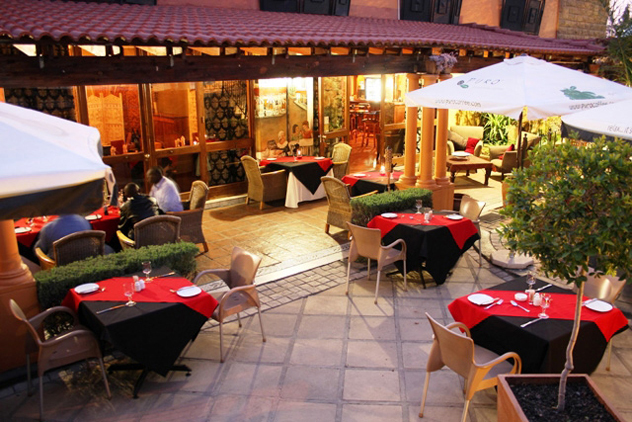 The restaurant prides itself on being intimate and warm, with classic decor and well-presented meals. 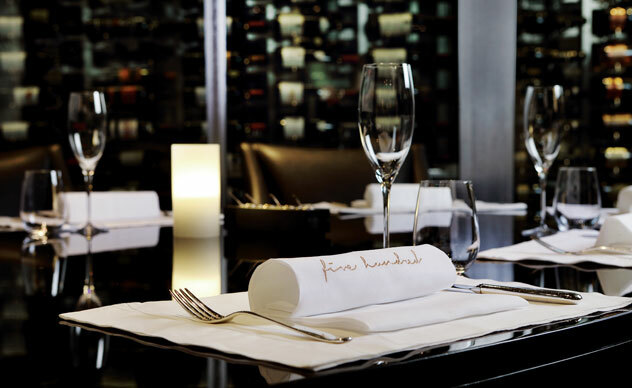 A meal here could be as simple or as elegant as you like, ranging from the likes of classic chateaubriand with béarnaise to an elaborate five-course degustation menu with a nod to molecular gastronomy techniques. 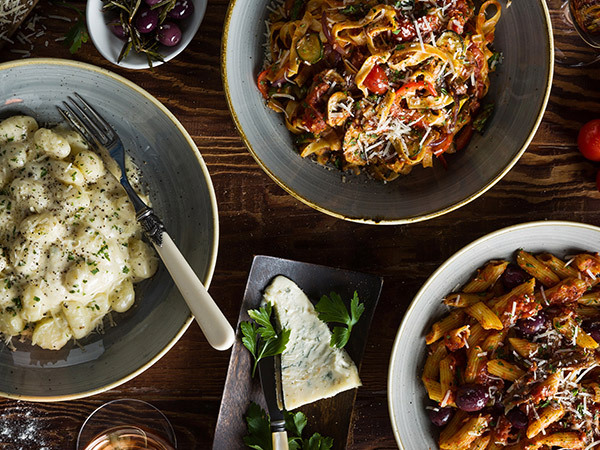 Everybody’s talking about this new emporium that serves and sells classic Italian food like free-range rotisserie chicken, meatballs braised with lentils, and exemplary focaccia. Old Town Italy . Photo courtesy of the restaurant. Go for the buffet and be tempted by every kind of curry, from crab and prawn to lamb, chicken and lentils. They claim to make good ‘chow’, but it’s anything but plain. Try their Mexican breakfast wrap, West Coast mussels, or prawns baked in a wood-fired pizza oven, topped with a gorgonzola foam. The spotlight falls firmly on crowd-pleasing Mozambican fare, like prawns served in a spicy cream sauce containing beer and coconut milk. 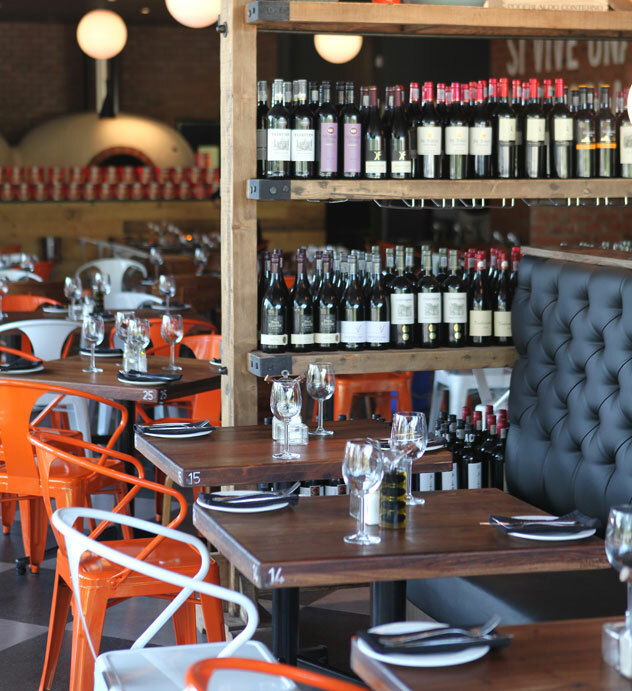 This delightful Italian eatery draws crowds for its pizzas, fresh pastas and antipasti. Lupa Osteria. Photo courtesy of the restaurant. 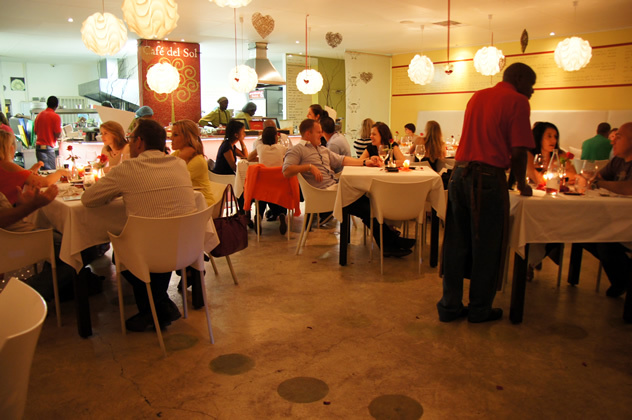 The highlight of the menu is Durban curries served unpretentiously in rotis, bunny chows or with rice. Exotic choices include the delicious tripe version, trotters or fish roe curry. 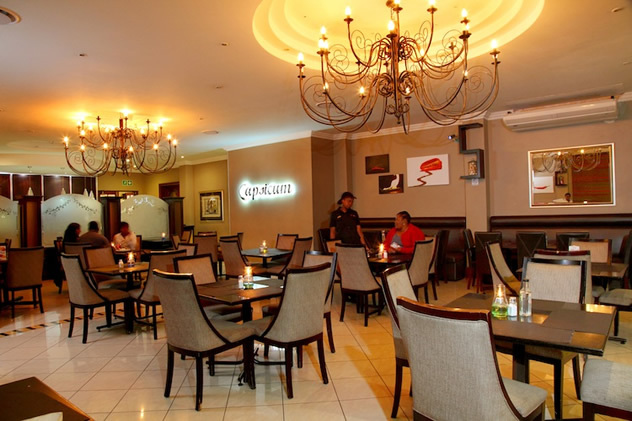 Capsicum Restaurant at the Britannia Hotel. Photo courtesy of the restaurant. 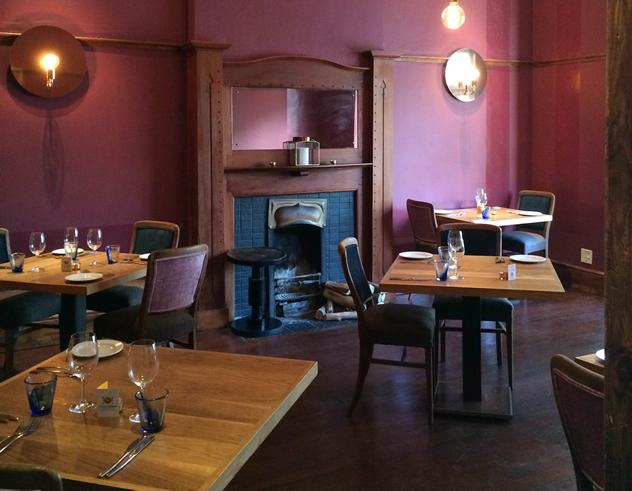 This bistro has serious culinary credentials, having previously featured in our restaurant awards. Think wild mushrooms with toasted brioche, crispy egg yolk, walnuts and halloumi, or pig’s head terrine with apples, walnut and pickled turnip. 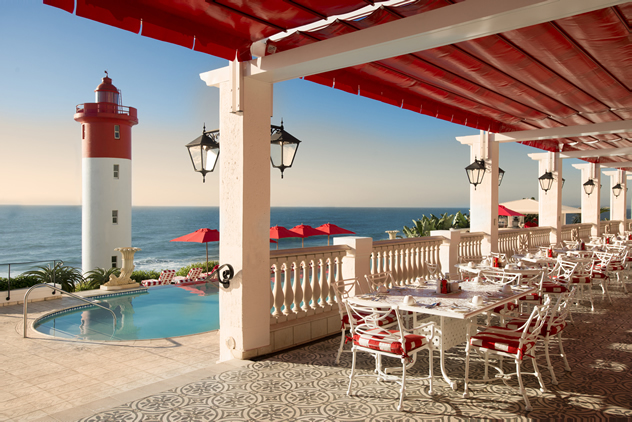 An ideal spot to treat first-time visitors to Durban. Relax outside around the pool and drink in the spectacular views. You’ll feel like you’re on the deck of a very grand ocean liner. A true Irish pub, where regulars are more like permanent residents and the food is simple and homemade. Boiler Room Cafe. Photo courtesy of the restaurant. 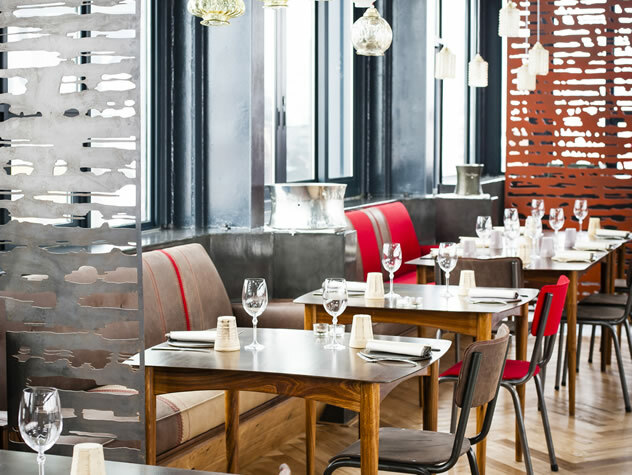 Fresh, wholesome ingredients are combined in dishes like duck liver crumpets with port-marinated figs and gorgonzola cream; crispy fried pork on bubble and squeak with fried egg and peach chutney; and slow-roasted lamb wrap with hummus and a minted cucumber salsa. 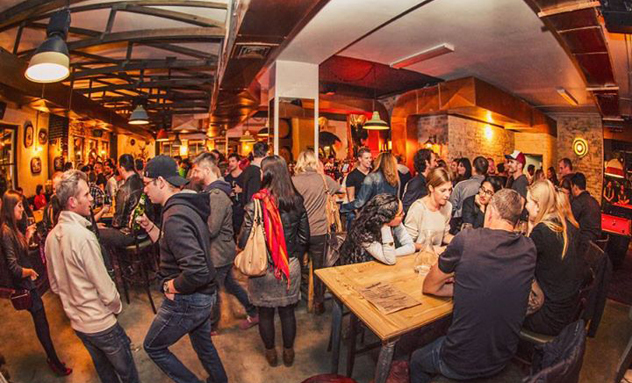 Cape Town’s newest hip bar (sibling to Aces & Spades) has a queue out the door most nights. If you’re after a relaxed bar-club place, where you can order food and flirt with fellow ad agency types, this is for you. Inside the restaurant. Photo by Laura McCullagh. Our number one for three years running, and number 28 in the World’s 50 Best Restaurants list. ‘Nuff said. 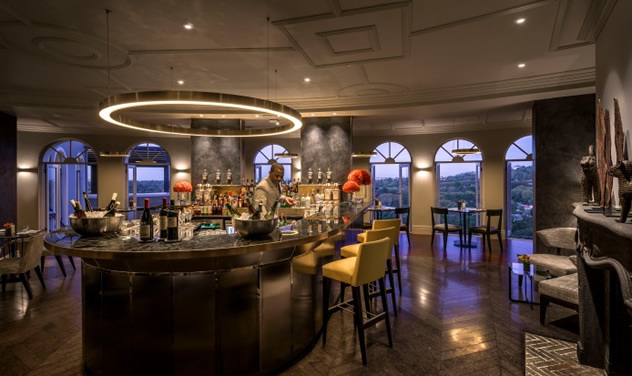 Nominee for last year’s Eat Out Mercedes-Benz Restaurant Awards Top 10, this elegant spot has droves of fans and generous multi-course specials all year round. La Mouette. Photo courtesy of the restaurant. Another new entry to the most-viewed lists, this specialist shop offers a dizzying array of treats like chocolate skulls and miso-caramel Buddhas. My Sugar Chocolate and Coffee Bar. Photo courtesy of the restaurant. Delicious bistro food for the pilgrims to Tableview, including fragrant pulled lamb and line fish with basil cream and baby marrow risotto. 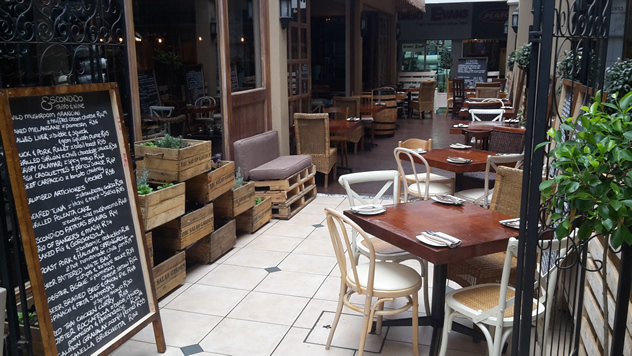 Their tapas menu continues to innovate, but still features perennial winners like their smoked beef fillet with truffled café au lait sauce. Amazing views and ambience. The Pot Luck Club interior. Photo courtesy of the restaurant. 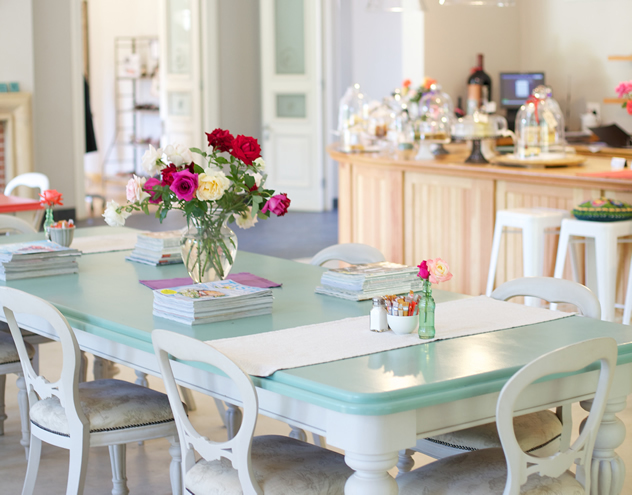 Punters enjoy bistro cuisine at its best here at this beautiful location on Steenberg Estate. 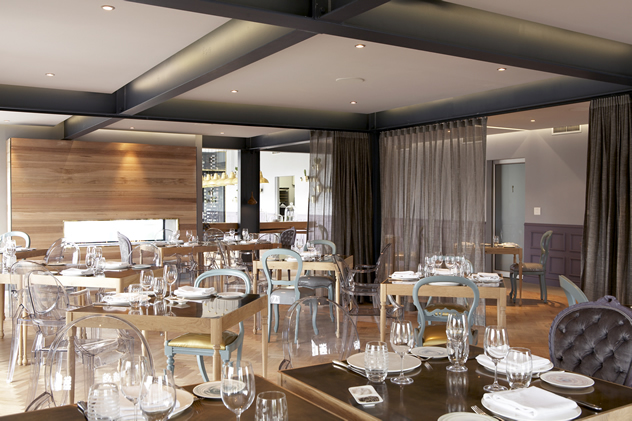 Bistro Sixteen82. Photo courtesy of the restaurant. 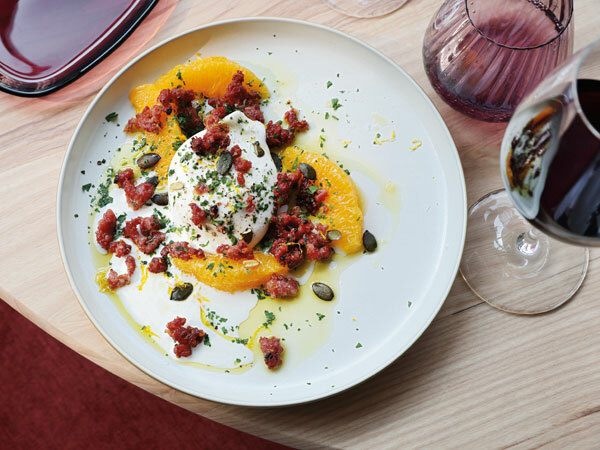 This Italian favourite is loved by many for its carpaccio, gnocchi, risotto and saltimbocca. 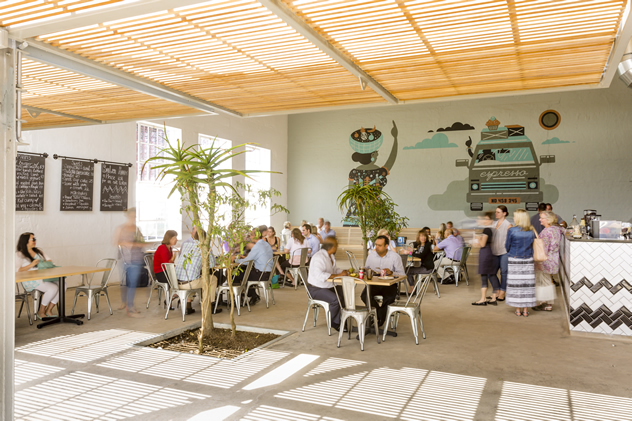 In terms of position, this place is right up there with the best, with sweeping views down to the distant Atlantic at Blouberg featuring Table Mountain. 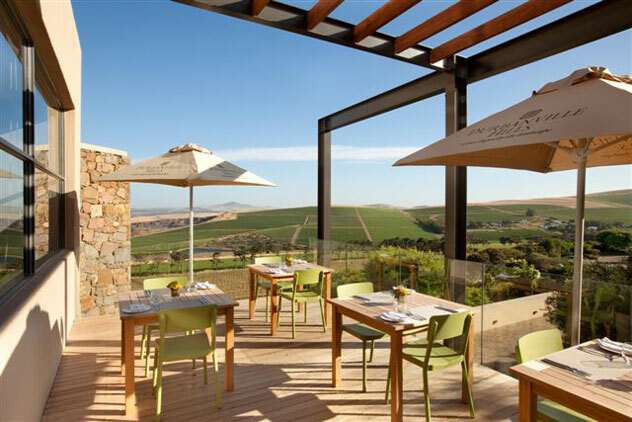 The deck at Durbanville Hills. Photo courtesy of the restaurant. It’s Ashley’s first rodeo on our most-viewed list. Affordable and owner-run, it’s a popular spot in that neck of the woods. Chef George Jardine’s seasonal menu captivates with outstanding flavours, textures and techniques at our no. 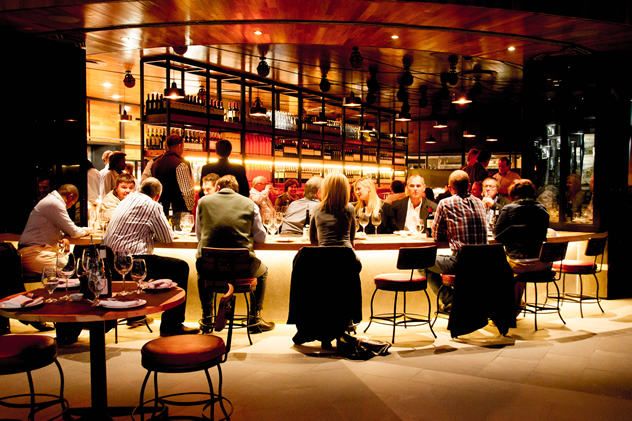 5 restaurant in the 2014 Top 10. 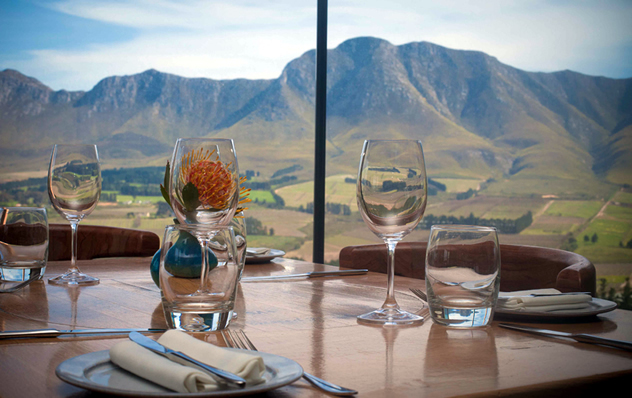 You can’t help but feel immediately at ease, stepping into this unpretentious restaurant with its spectacular views over the dam and vineyards. The Tasting Room at Le Quartier Français. Photo courtesy of the restaurant. Another Top 10 restaurant (currently at no. 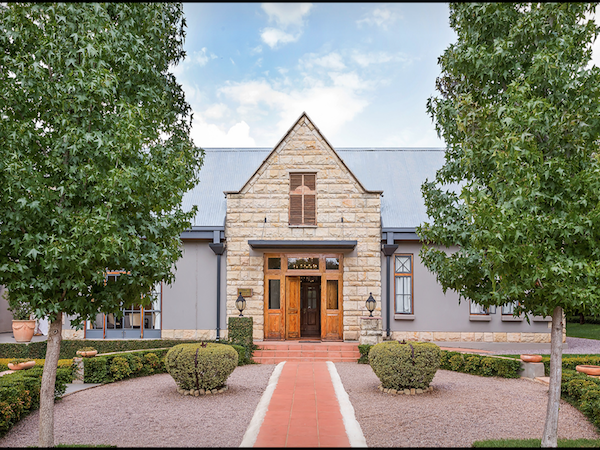 5), Rust en Vrede is under the helm of chef John Shuttleworth, whose striking plates of food are approachable yet elegant. 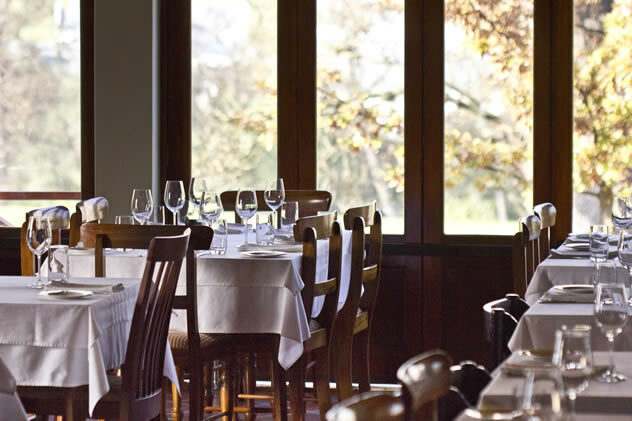 Rust en Vrede Restaurant. Photo courtesy of the restaurant. 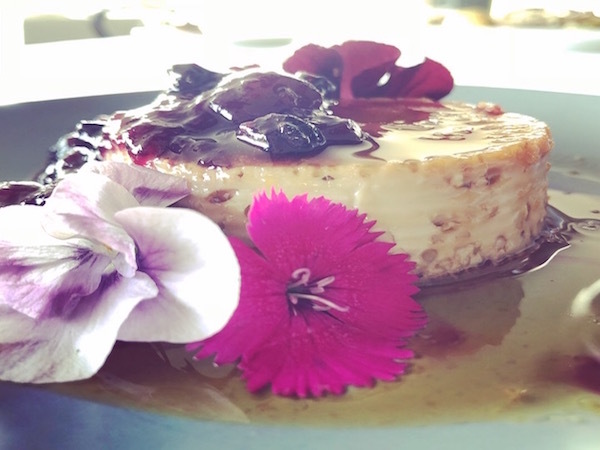 Bertus Basson’s smart reinventions of SA heritage food have won him even more fans than his turn on TV. This breathtaking setting is no. 6 in our current Top 10. The Restaurant at Newton Johnson. Photo courtesy of the restaurant. 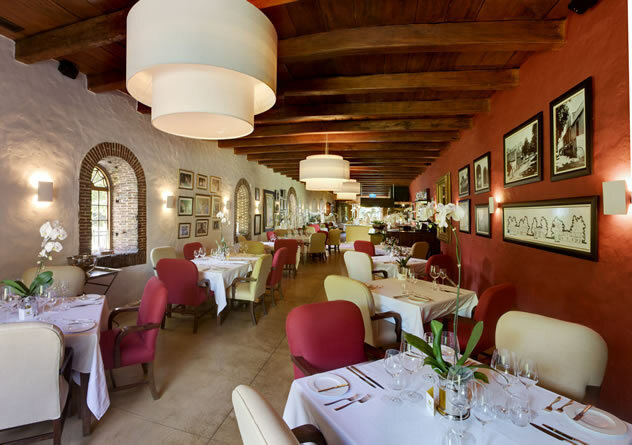 This more casual winelands restaurant, which cracked the last slot in the 2014 Top 10, is popular for its delicious, expertly cooked food and sauces by chef Michael Broughton. 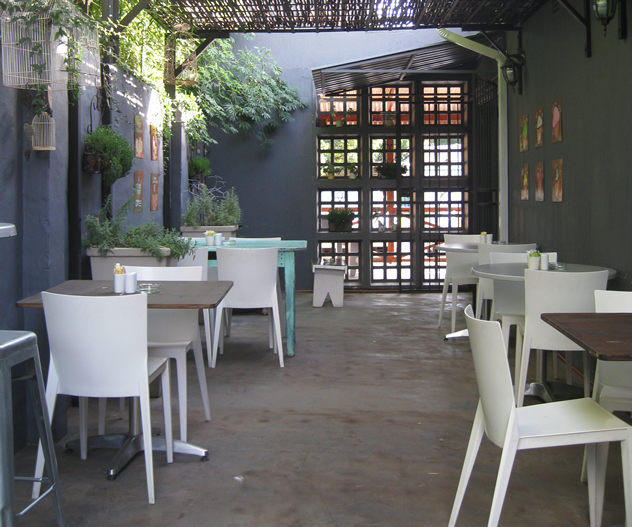 One of our nominees for the 2014 Top 10, this super-stylish restaurant is located at Majeka House. Chef Tanja Kruger produces playful food inspired by her travels and featuring top-quality suppliers. Makaron at Majeka House. Photo courtesy of the restaurant. A last, a casual eatery makes the most-viewed list! 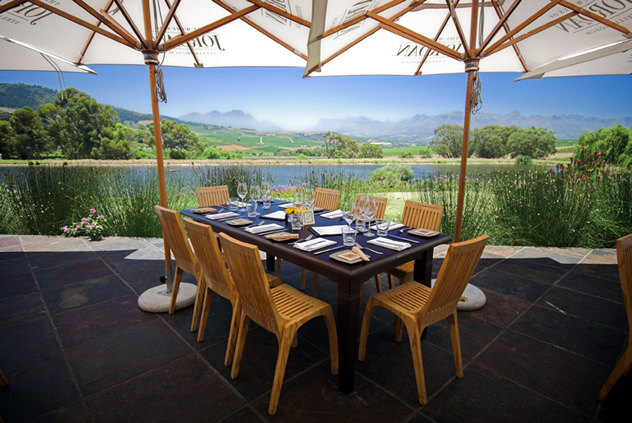 (You can see why people call the winelands the gourmet capital). 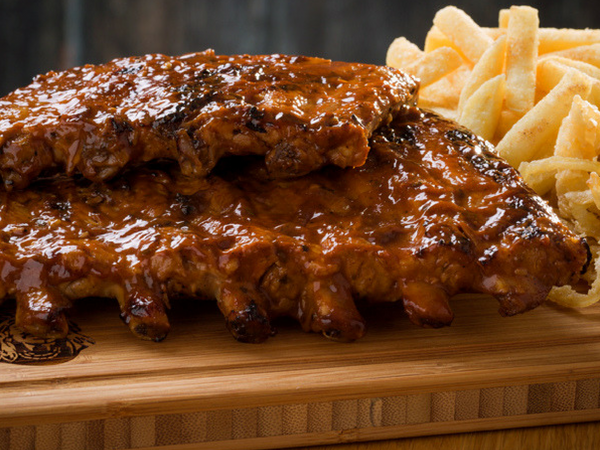 This pub-grub-style menu with great craft beers suits the fun-loving crowd. The Thirsty Scarecrow. Photo courtesy of the restaurant. 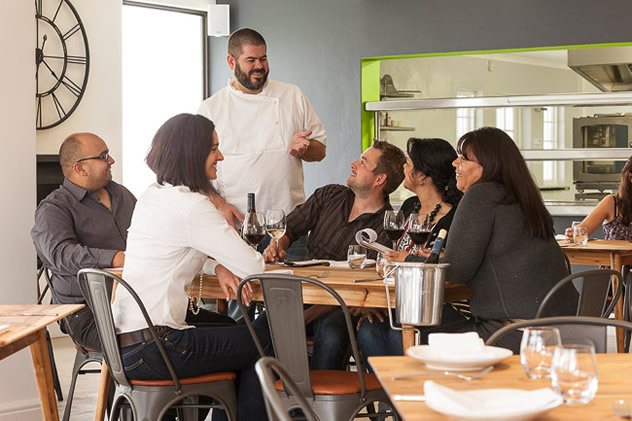 The food is a good solid selection of bistro favourites, several of them with interesting and inventive twists by chef Nic van Wyk, hot off the set of Kokkedor. 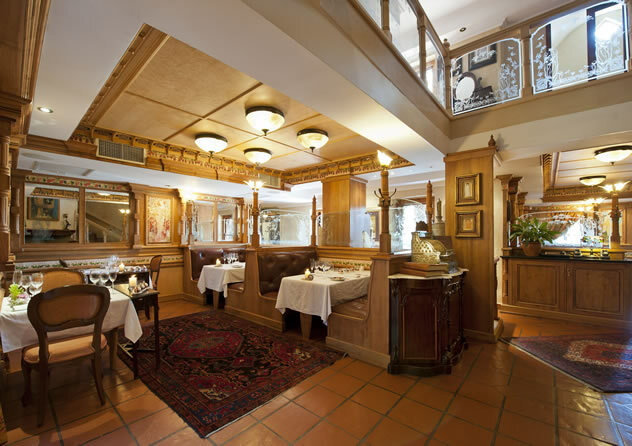 Bistro 13. Photo courtesy of the restaurant. Chef Neil Jewell is a wizard with anything to do with this little piggy. 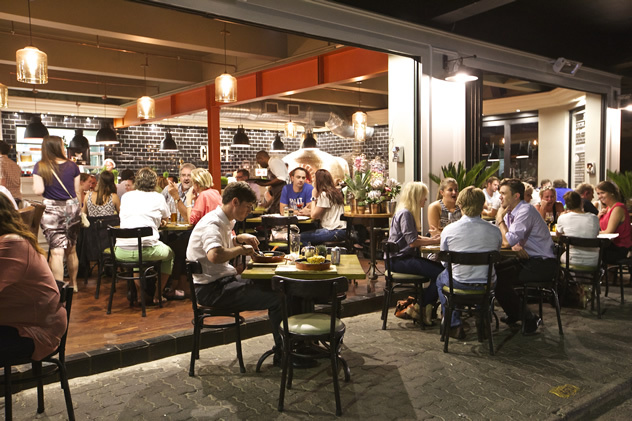 His refreshing, no-nonsense attitude to food and the casual country vibe of this restaurant has gained him a loyal following. Bread & Wine. Photo courtesy of the restaurant. 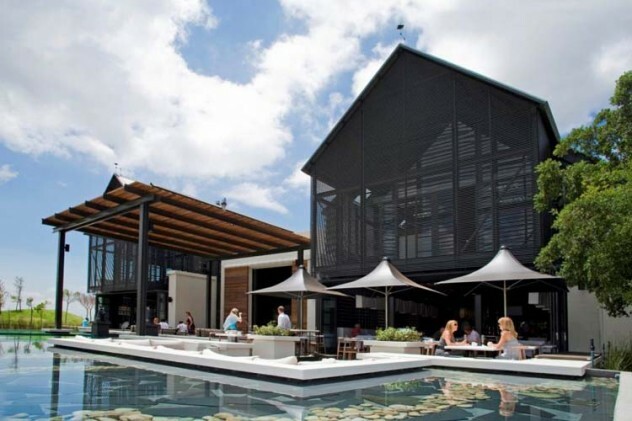 Maison in Franschhoek and Chefs Warehouse and Canteen on Bree in Cape Town shoud definitely be on this list! Of late some patrons have been giving Test Kitchen negetive reviews.